Photovoltaic (PV) powered electric water pumps are becoming popular in remote rural locations due to the non-availability of grid connectivity. A typical PV based drive scheme consists of a PV array, DC-DC converter, inverter-fed induction motor and a water pump. Induction motors are rugged in construction and offer low maintenance but their efficiency is poor at low power levels. The Motors generally used for agricultural applications are AC Induction Motors and Conventional DC Motors. In recent years with exploration of new permanent magnet materials there is a sharp decline in their cost, which results in increased availability of BLDC motor. Hence Brushless DC Motors (BLDC) is also being used for domestic, commercial and agricultural applications. But, over the years there has been a steep hike in the price of rare-earth permanent magnets like NdFeB (Neodymium Iron Boron) and SmCo (Samarium Cobalt) which make the motor un-economical. This paper is also eliminating the manual solar panel alignment to produce the solar power for BLDC motor. This tracking system tracks the maximum intensity of the sun by monitoring the position of sun using light dependent resistors (LDR). Sheela Sankari M, Anand Karuppannan. "Design of PV Based Permanent Magnet BLDC Motor Using Submersible Pump." 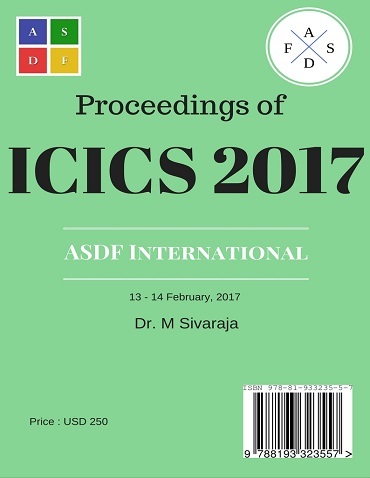 International Conference on Intelligent Computing and Systems (2017): 51. Print.